Howdy and welcome to my first blog post. Having done some professional writing for nearly 30 years (notably Goldmine, Discoveries, Journal Of The Colorado Dental Assoc., Roundup Of Denver Posse Of Westerners) , it has been hard watching print journalism fade hence this attempt to at least create an outlet for what I enjoy – music journalism. As a friend once said, it makes no sense to write about music – you need to actually hear the music. Thankfully there are a number of outlets for hearing music so the hope is you might find something here of interest that might inspire you to go and sample a song or two. As a child of the 50s and 60s I admit that you won’t see Beyonce reviews, but I also do try to stay up with cool current music that doesn’t get much ink. Power pop, blues rock, progressive, monkey-beat rock and roll – that’s most of what you’ll find. As a first post, I figured it might be fun to revisit the first 10 albums I bought (the order is when they were acquired, not when they were released). It took a major commitment to buy an album at $2.99 (mono – stereo? no way at a buck more) when you could get a 45 for 59 cents. Not to mention that in small-town Colorado the only places to buy a record were from a small rack at the grocery store or the drugstore (and they were mostly 101 Strings ennui). Heck, we didn’t even own a record player till Santa came in 1965 so the first records were heard at friend’s houses (thanks Rick Steele for playing me Ray Stevens). Our household was Mancini, Mantovani and showtunes. 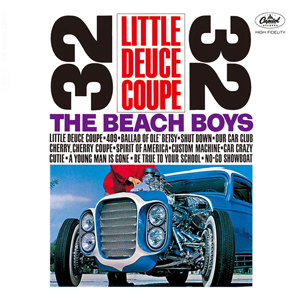 Rock and roll first came in the brain from hearing Brenda Lee’s “Dum Dum” on some car radio in 1961 then later via an $8 transistor radio plugged into one ear while reading Mad Magazine under the covers with a flashlight when you were supposed to be asleep. It was reinforced on the road to Boy Scout camp-outs when some kindly parent would tune in to Denver’s tiger radio – 950 KIMN, however owning any of the music was out of the question… Till an innocent phonecall to Bill Holley, the night creature on KIMN put me on-air in a “name-it-and-claim-it” contest. When asked what record I wanted, I mentioned my fave from the boss tiger survey at that time – “Gloria” by Them. When the record came, it looked SO cool with a green and yellow parrot on the label in a nifty sleeve. What a great album. 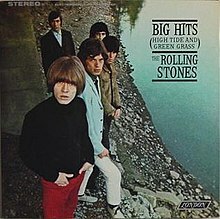 With the great singles “The Last Time” and “(I Can’t Get No) Satisfaction” you already got bang for your buck, but the rest isn’t just filler. Heck, how many local bands added “I’m All Right” as their work-out show closer back in 1965? Great covers of Don Covay (“Mercy, Mercy”) and Marvin Gaye (“Hitch Hike”) too. 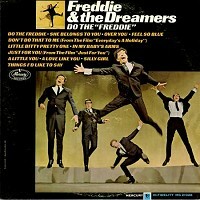 Own up you kids of 1965, you did the Freddie! Dopey Brit invasion pop music and the first group I ever saw in concert. Freddie wasn’t Mick and the Dreamers weren’t the Stones, but well crafted and frankly a guilty pleasure as I can still sing all the songs (oh the shame). “A Little You” was a great single and should have been a bigger hit, however. 3.Paul Revere & The Raider – Just Like Us! Mom and dad joined the Columbia Record Club and let me order this smokin’ rocker by one of the greatest garage bands all-time (are you listening R&R Hall O’ Shame?). Frankly I thought the revolutionary war outfits were cool, so there! The second group I ever saw in concert. Not too many better opening trax on LP than “Steppin’ Out” with snotty vocals from the great Mark Lindsay. Everybody sang lead and while most of the songs were covers, they were good covers. A gift from friend Ron Stewart – and a fine gift at that as again all the trax are great plus the car picture on the cover is darn cool. “409” “Shut Down” plus the title track were great singles while “Our Car Club” “No-Go Showboat” etc. made for a qualtiy car related album. Thanks to the Columbia Record Club again – quickly became my fave group at the time. Heavy bass and drums behind one of the greatest rock singers of all-time – Mike Smith (and one of the nicest musicians I ever had the pleasure to talk to). The title track blasted out of the speakers with classic rock and roll sax and piano mix that at the time put them way ahead of the Beatles who just seemed too tame for yours truly (at the time). The lead single “Catch Us If You Can” was great plus there were drivin’ instrumentals in “On The Move” and “No Stopping” that other groups didn’t do at the time. Once again, you only bought an album if you got value for your cash and this one featured two great singles in “California Girls” and “Help Me Rhonda” (featuring my Al Jardine who at one time wanted to be a Dentist – yeah Al!). 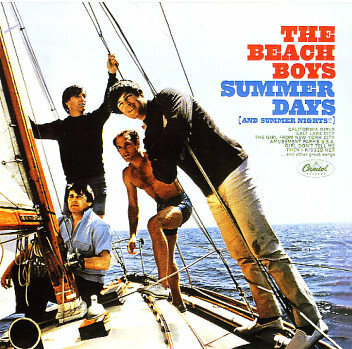 As a kid, side 1 was the winner with mostly rockers like “Salt Lake City” and “The Girl From New York City”. Rock and roll was alot about look and this cover pulled me in. Sharp outfits and a group of guys who looked like they were ready for action (except Dave – where are your drums?). That Vox Continental organ still seems cool. After the first 3 rockers, however, the album really let this youngster down with way too many ballads and filler. Only 1 hot instrumental in “Pumping” and at 1:37 the rockin’ title track was a bit on the short side. 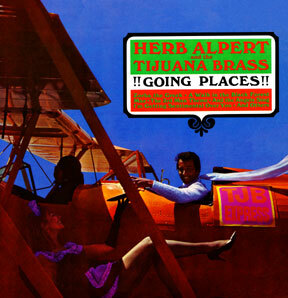 8.Herb Alpert & the Tijuana Brass – ! !Going Places!! Bought as a gift to give my sister Cheryl, this is a guilty pleasure for sure (and my third group to see in concert in Ft. Collins). Catchy instrumentals galore, however, in “Spanish Flea” and “Tijuana Taxi”. Who knew he wasn’t Hispanic? A group that friend Micky Watkins turned me on to and the greatest instrumental band of all-time. Sorry T-Bones, but these guys’ version of “No Matter What Shape (Your Stomach’s In)” is far superior. Again, this album just flat out rocked with good versions of “Lies” and “She’s Just My Style” plus the Mosrite guitar on the back side looked spiffy. 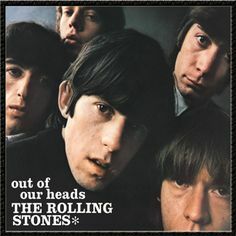 Talk about bang for your buck, this sucker had it all – cool looking band (sorry Mick, but Brian Jones had the look), fold open package with several pages of pix and great music. “Not Fade Away” was the first song I learned on guitar. Congrats on your first blog, and perhaps the opening to your first solo book! Fun read, and thanks for the shout-out! I recognized the Herb Alpert “Going Places” record right away, as it was my first album ever. Best wishes, happy 2015 from sister Cheryl. A superb list of albums! GK, you are a man of fine musical taste! DC, you are truly a man of taste as well (not to mention a hot stixman in our old rock band). A little glimpse into whom is known as My Boss I love it and I can’t wait to read more! what a thoughtful reply – thanks and glad to entertain someone from the younger generation with ramblings of an old dude. I remember falling asleep at night listening to my Motorola transistor to KIMN. Surfer Girl and Paul Marriot Love is Blue were my first purchases. I was also and still am a big DC5 fan. Of course this brings up a wholly different discussion – the ubiquitous transistor radio back in the day. Mine was a $7 GE model I purchased at the GEM store up at about 38th and Wadsworth (for government employees – dad was an air traffic controller). You guarded that single earplug like gold because if something happened to that you were in big trouble – no listening under the covers after dark! Congrats on the blog Dr. Krieger! What a perfect match this is for your immense knowledge of music and history while sharing these great memories. I certainly miss my music history in addition to great music while working with you! Thank you for the best of 2014 CD’s. I look forward to following your blog. Hey, thanks for the good words. Anybody who will listen to Los Straitjackets with me has to be cool! we sure had to hunt back in the day to get music and when it went off the charts – forget it! who would have figured 50 years later it would be easier to find those records than when they were only a few months old. Very cool that a hardware store sold records!